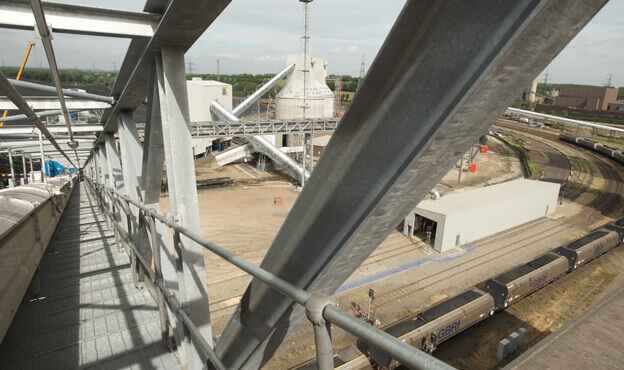 This project covered the design and build of a reclaim link conveyor from the biomass handling facility to the existing coal handling system, providing additional co-firing capabilities. The Spencer engineers developed an innovative scheme in which systems were built at ground level and then lifted into place, thus dramatically reducing the amount of work done at height and creating a much safer working environment. 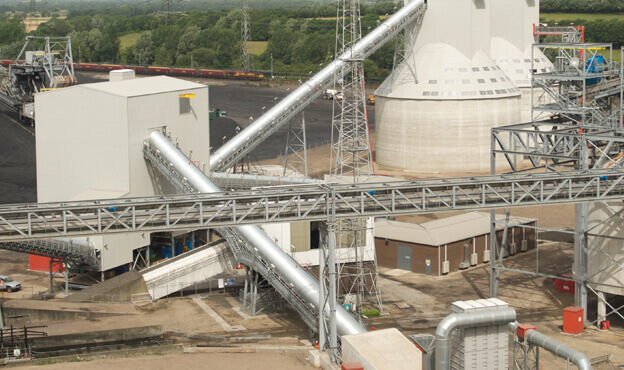 The scope of works required Spencer to deliver a complete design and build of the new biomass handling system, linking to the existing coal handling system, including the installation of a reclaim conveyor capable of moving 750m3 per hour. This included the design of these systems from scratch inhouse, followed by the civil engineering necessary to prepare the ground works, then the structural steel and mechanical engineering of the conveyors themselves. All this was completed to the highest safety standards, with all necessary dust and fire management systems in place. 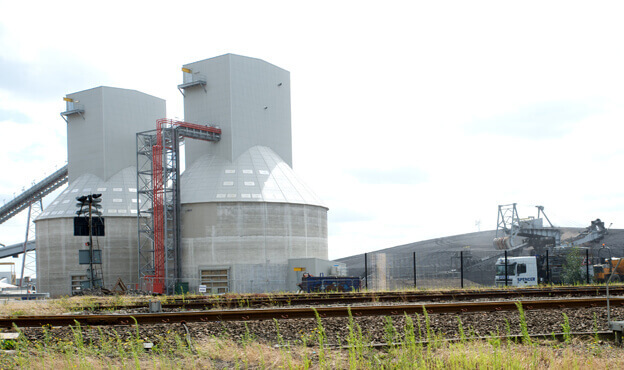 Our previous experience of delivering the rail unloading and biomass storage project on behalf of Drax Power Ltd led to the award of this challenging project on an open-book design & build target cost contract (ICE). We were able to reduce response times and minimise the reliance on an extended supply chain, when compared to a construction only contractor, via the benefits of collaboration and co-location. Our in-house expertise allowed the client to alter design ideas throughout the duration of the project and challenges were successfully overcome through meticulous project and design management, and through the close co-operation and collaboration with the Drax team.